The Department of Adult and Pediatric Ophthalmology at the University Hospital Muenster offers the full range of conservative and surgical treatment of eye diseases on an inpatient and outpatient basis. The experienced physicians in the department use modern methods of diagnostics and treatment in their practice, which, in combination with high professionalism, contributes to the achievement of an optimal therapeutic result. The department's specialists work in strict accordance with the guidelines of the professional societies. The department is headed by Prof. Dr. med. 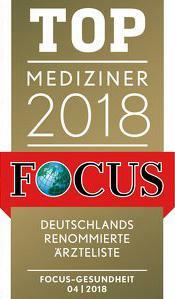 Nicole Eter, who has repeatedly been ranked among the top German doctors in the area of her specialization, according to the Focus magazine. One of the significant advantages of the department is the presence of an in-house Eye Bank, which allows the doctors to urgently perform corneal transplantation, thereby restoring vision or preventing its deterioration. The Eye Bank was founded in 1995 thanks to a significant financial donation from Prof. Dr. Franz Josef Bender, a former Full-time Professor in the Department of Cardiology of the University Hospital Muenster. Today, the Eye Bank operating on the basis of the department is one of the most expert medical facilities with rich traditions. Along with the clinical activities, great importance is attached to advanced training courses, professional retraining of the medical staff. The department carries out clinical examinations of such diseases as diabetic retinopathy and age-related macular degeneration, retinitis pigmentosa, retinopathy of prematurity, inflammatory processes and viral corneal infections, as well as studies the mechanisms of retinal dystrophy, methods of early detection of glaucoma and intralamellar keratoplasty. 10.1988 - 11.1994 Study of Human Medicine at the University of Bonn. 07.1992 Study abroad, Charing Cross and Westminster Medical School, London, Department of Surgery (Prof. Dr. R. M. Greenhalgh). 10.1993 - 02.1994 Duke University, Durham NC, USA, Department of Surgery (Prof. Dr. David C. Sabiston). 12.1994 - 06.1996 Postgraduate Training at the Department of Ophthalmology, University of Bonn (Prof. Dr. M. Spitznas). 1996 Full approbation (admission to medical practice). 1994 - 1996 Assistant Physician in the Department of Ophthalmology, University of Bonn (Prof. Dr. M. Spitznas). 1999 Board certification in Ophthalmology. 1999 Senior Physician in the Department of Ophthalmology, University of Bonn (Prof. Dr. M. Spitznas). 1999 Senior Physician responsible for staff and budget. 04.2002 - 12.2002 Leading Senior Physician and Deputy Head, Department of Ophthalmology, University of Bonn. 2002 - 2003 Acting Head, Department of Ophthalmology, University Hospital Bonn. 2003 - 2010 Leading Senior Physician and Deputy Head, Department of Ophthalmology, University Hospital Bonn. Since 2010 Chairholder and Head of the Department of Ophthalmology at the University Hospital Muenster. 1995 Doctorate in Medicine at the Faculty of Medicine of the University of Bonn (Note: very good). Subject: "Immunoreactive inhibin concentrations in early childish testis, ovarian and adrenal tissue", Institute of Clinical Biochemistry, University of Bonn (Prof. Dr. med. D. Klingmüller). 2002 Habilitation at the Faculty of Medicine of the University of Bonn. Subject: "Radiotherapy in the treatment of age-related macular degeneration". 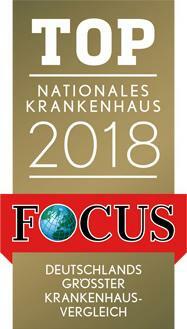 11.2007 Extraordinary Professorship for Ophthalmology, University of Bonn. 08/2010 W3 Professorship with a management function, University of Muenster. 1997 Qualification as Laser Safety Officer. 2001 DEGUM qualification for ultrasound examinations in ophthalmology. 2001 Specialization in Laser Surgery in Ophthalmology. 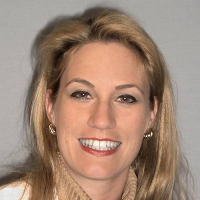 2004 Fellow of the European Board of Ophthalmology (FEBO). 2004 Professional competence in ophthalmic interventions. 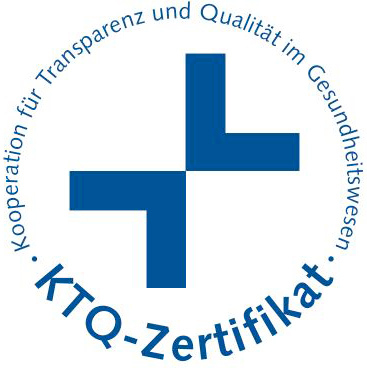 2008 GCP Certification (German Society for Pharmaceutical Medicine, 27.05.15, updated. 2009 Basic course on Good Laboratory Practice (GLP). 2015 Advanced course on Medical Products Directive (MPG). 2011 - 2012 Member of the Working Group "National Strategy Process: Innovations in Medical Technology" of the Federal Ministry of Economics and Technology. 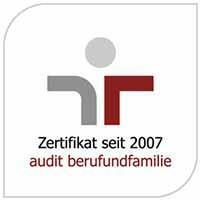 Since 2012 Examiner of the Medical Association of Westphalia-Lippe. Since 2012 Postgraduate Training Officer of the Medical Association of Westphalia-Lippe. Since 2012 Elected Member of the Board of the Retinological Society. Since 2013 Expert on the Scientific Advisory board of the Journal "Der Onkologe". Since 2014 Elected Member of the Joint Board of the German Ophthalmological Society (DOG). 2001 Best Paper Award Winner, American Society for Retina Specialists. 2007 Joint Project Funding of the Federal Ministry for Education and Research (BMBF) (three years). 2008 Research Award of the German Ophthalmological Society. 2008 Secundo loco, W3 in Ophthalmology, University Hospital Marburg. 2010 Research Grant of the German Research Foundation (DFG) in individual application (three years). 2010 Primo loco, W3 Professorship in Ophthalmology, University Hospital Muenster. 2010 Focus List of Top Physicians (2010, 2011, 2012, 2013, 2014, 2015). 2011 Research Grant of the Interdisciplinary Centre for Clinical Research (IZKF). 2013 Best Paper Award, Annual Conference of the German Ophthalmological Society. 2014 Research Grant of the IMF. Pathophysiology and therapy of age-related macular degeneration. High-resolution imaging in pigment epithelial detachments. In vivo molecular imaging of retinal structures. Antiangiogenesis research in animal models. Nanotechnology at the ocular fundus. Eyelid and lacrimal duct surgery. Laser therapy of the anterior and posterior eye segments. Diagnostics and treatment of the anterior and posterior eye segments. Der Ophthalmologe (Editorial Board Member). Spektrum der Augenheilkunde (Editorial Board Member). Der Onkologe (Advisory Board Member). Investigative Ophthalmology and Visual Sciences. Graefe’s Archive for Clinical and Experimental Ophthalmology. Klinische Monatsblätter für Augenheilkunde Ophthalmologica.